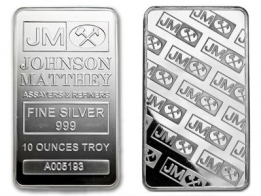 These Johnson Matthey silver bars are the most popular amonst precious metals investors looking to place larger amounts of money into silver bullion, due to their size and low premium. These bars are supplied in two styles - extruded or minted. The extruded bars feature the Johnson Matthey logo stamped at the top, with the weight of the bar beneath. These bars do not come with a serial number. 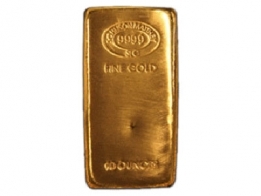 The minted bars (such as the one in the picture), come with a serial number engraved at the bottom. Johnson Matthey was recently purchased by Asahi, and these bars are no longer manufactured. 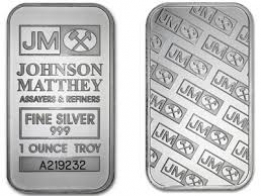 Please contact us to sell Johnson Matthey silver bars. 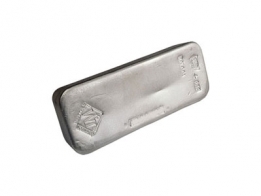 View today's silver price per ounce.